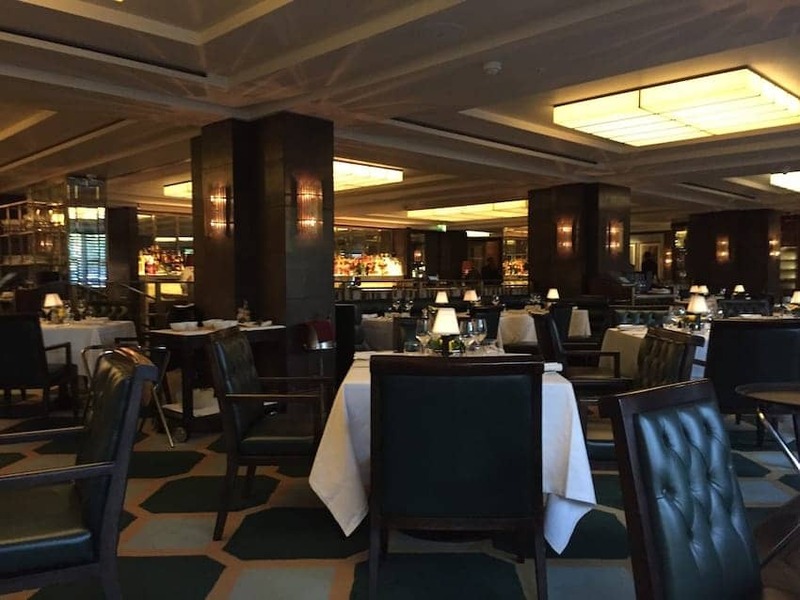 The Rib Room Bar & Restaurant is a traditional style restaurant first opened in 1961 and located in the Jumeira Carlton Tower Hotel in Knightsbridge. Decorated in dark green and amber with crisp white linen tablecloths, it preserves the original gentleman's restaurant style ambience with attentive service and an elegantly traditional English menu. A smart marble bar with comfortable seating area is integrated within the restaurant space and a huge range of wines, champagnes and cocktails are available.